2013 MZ Charly Classic. Picture credits - MZ. Submit more pictures. MZ was one of the forerunners in the production and development of mini electric scooters. Many years ago, when most manufacturers still considered e-mobility to be a foreign word, MZ began with the production of its cult scooter CHARLY. Alternate seat height: 900 mm (35.4 inches) If adjustable, highest setting. Comments: Range 25km. Up to 15 % grade climbing power. 24V. 24Ah Li-Ion battery. Collapsible to a height of approx. 60 cm. German made. Ask questions Join the 13 MZ Charly Classic discussion group or the general MZ discussion group. Rate motorcycles you know and help your fellow riders to find the bike that is right for them. Bikez has the most users and the most extensive motorcycle rating on the net. It includes reliability, design, engine performance, accident risk, repair cost, offroad capabilities, racing track capabilities and touring capabilities. The ratings are also used to rank the 100 most popular MC models each year since 1990. The lists	are adjusted weekly as new ratings are added. 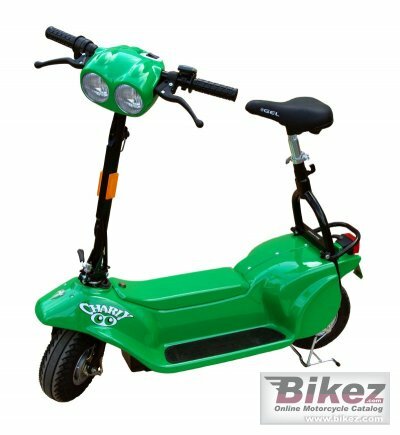 You can check out the rating of the 2013 MZ Charly Classic and compare it to other bikes here.